The collaboration between the two parties will provide a set of integrated solutions to meet the increasing demands of Chinese users for overseas medical services. A screenshot of the Ping An Good Doctor app. China's leading one-stop healthcare ecosystem platform, Ping An Good Doctor announced today the Memorandum of Understanding (MoU) with Bangkok Dusit Medical Service (BDMS), the largest healthcare network in Thailand. The two medical service giants will integrate and exchange their experienced medical resources online and offline, and provide one-stop healthcare services for millions of Chinese patients. Established in 1969, BDMS is the largest medical group in Thailand and is also one of the most prestigious hospital networks in the Asia-Pacific region. At the global level, BDMS ranks second among private hospital groups in terms of market capitalisation. BDMS owns 46 hospitals located in major cities and locations in Thailand and Cambodia, serving Thai patients and foreign patients from the US, Europe, China, Japan, Korea, the UAE, etc. A total of 17 hospitals in the BDMS network have JCI (Joint Commission International) certificates. Over 10,000 qualified doctors and 8,000 nurses work for BDMS, and many of them are experts in Centers of Excellence which specialise in cancer, heart and brain diseases, trauma and orthopedics. According to World Daily in Thailand, nearly 10 million Chinese visitors travelled to Thailand in 2017, which was a more than 10% year-on-year growth. One of the main factors for this is the high-quality medical services which have helped boost medical tourism in Thailand from the China market. The Chinese demand for overseas medical services has started to grow in recent years, but there is a lack of organisations that can link patients to overseas medical institutions, which leads to unsatisfactory outcomes. 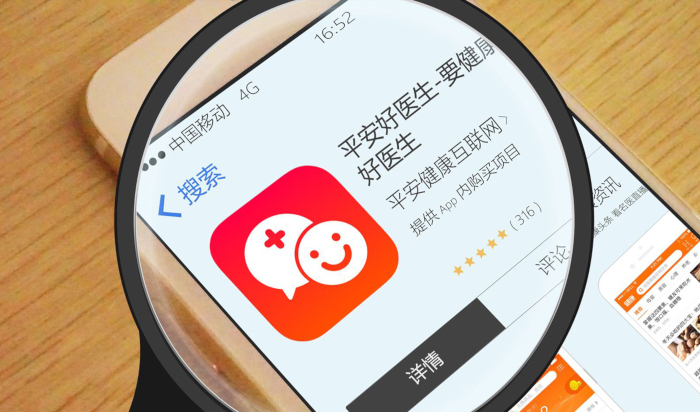 Through the combination of hundreds of millions of online users' data from Ping An Good Doctor and advanced offline medical services from BDMS, the collaboration between the two parties will provide a set of integrated solutions. The alliance will provide a reliable and comprehensive overseas consultation process which will improve the standards of medical tourism and set an international medical collaboration model. Consequently, Chinese users can benefit from accurate information to choose the best medical plans by using Ping An Good Doctor. The cooperation offers more opportunities to Chinese patients and introduces the option of premium medical tourism to middle-income people. It will also help improve how Chinese patients access advanced medical technology overseas, turning medical care into a "no border" resource. According to Reuters, Ping An Good Doctor has raised 1.1 billion in its IPO in Hong Kong in April this year. Bangkok Hospital Hua Hin, a hospital under the BDMS Group, was awarded the HIMSS Analytics EMRAM Stage 6 recently and received their award at the HIMSS AsiaPac Awards dinner during the HIMSS AsiaPac 18 conference which concluded in Brisbane, Australia last week.